The foundation of the lab is a very experienced and knowledgeable workforce. Maintaining a high level of technical expertise is critical to the business. To assure this level, Allied OSI Labs follows an in-depth training and cross-training process. Gail has been working for Allied OSI Labs for over 4 years. She works behind-the-scenes by supporting our Client Services, Sales, and Marketing Departments and handles many tasks that makes our work much easier! She keeps our database up-to-date with address changes, information updates, opening new accounts, as well as handling patient referrals and end-of-month reporting. Gail enjoys working at Allied mostly because of the people she works with. She and her husband, Darel, have 2 children and 2 grandchildren. 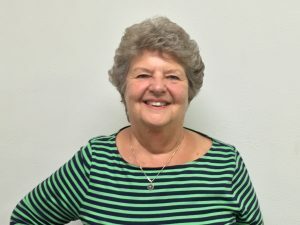 When she is not working for Allied, Gail keeps very busy volunteering at the food pantry at her church and is also the co-owner of K’s Confectionery. Jim has been with Allied OSI Labs for over 4 years. He supports our Client Services, Sales, and Marketing staff by filling supply requests from our customers, handling our direct mailings, and keeps track of our marketing materials inventory. 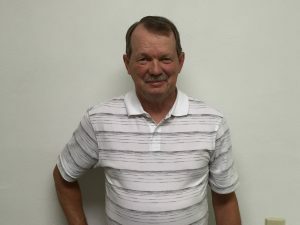 Jim has a behind-the-scenes role at Allied and is a very important part of our team! He really likes the spirit of comradery at Allied and also helping to build new business relationships. Jim and his wife, Sandie, have 2 children and 3 grandchildren. In his free time, Jim enjoys riding his bike, playing Euchre, and volunteering at his church’s food pantry. Gail and Jim are both great assets to the Allied team! Their work never goes unnoticed; we couldn’t do it without them!